You know how it is, you’re looking through your photos from the last day or so and you see one that looks as if it’s worth writing about. So, you type something into Google and you click on the link to Wikipedia that he offers you. You read the first paragraph and your heart sinks. “One of approximately two hundred and fifty members of the species . . .” Two things jump out at you. One, there are two hundred and fifty of them – and you can bet anything you like they are completely indistinguishable to the naked eye. Two, that dreaded word “approximately”. When you are desperately seeking identification, it would be nice to think that the source of all knowledge you have turned to for succour, could provide the information on a definite and sure basis. The concept that the information you are about to use to bolster your Internet presence may be approximately correct is not very comforting. 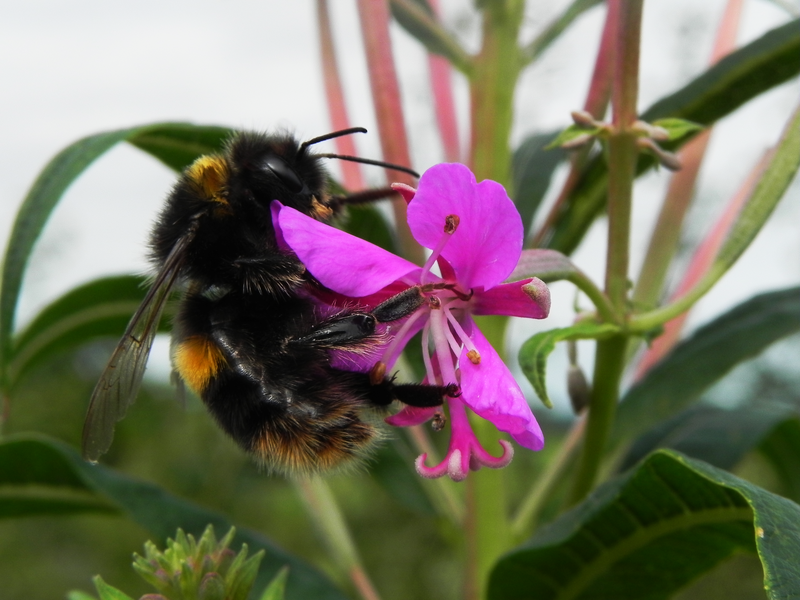 Today then, we have one of, approximately, 250 different types of Bumble Bee. They’ve been around for approximately thirty million years, so you might expect that we’d know which is which by now. Darwin once wrote that places where they keep cats, who eat field-mice, who tend to devour Bee nests, always had more Red Clover as only the Bumble Bees pollinate this plant. Do you know the Bee’s buzz is actually made by their thorax muscles not their wings? No, but if you hum a few bars I’ll fake it. A bit of a Bungle Bee, isn’t he? Definitely not a delicate touch!